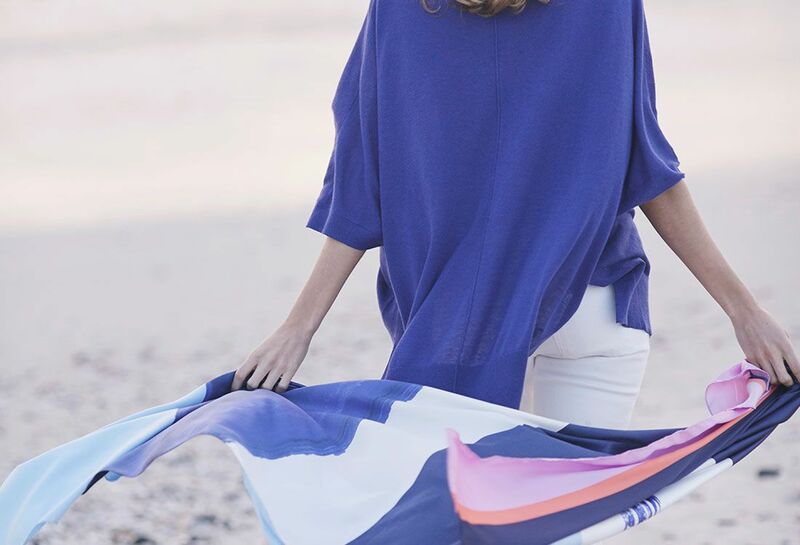 Whether you prefer yours light, bright and breezy or deep and dark as ink, blue is set to be a big colour trend once again this summer. We asked celebrity stylist Alex Longmore why it’s time that this failsafe shade became your new black. I’m just a little bit in love with blue. It’s one of the few colours with a variation to suit absolutely everyone. You just need to find your favourite hue. Navy blue, in particular, is one of those wear-everywhere block colours that dresses up or down with ease, carries you off to work, out for dinner or off on a weekend city break. What wardrobe wouldn’t benefit from a really great pair of beautifully cut navy trousers or chinos? A go-to linen blazer in light blue like the Caltha adds instant elegance to any favourite jersey dress or jeans. For as long as we can remember, black has been the go-to colour for anyone wanting to play it safe. Still a statement block and a master at camouflage, blue is altogether lighter on the eye and a much better option for summer. It allows the wearer to get away with a multitude of sins, but is kinder on the skin and much better suited to sunshine. 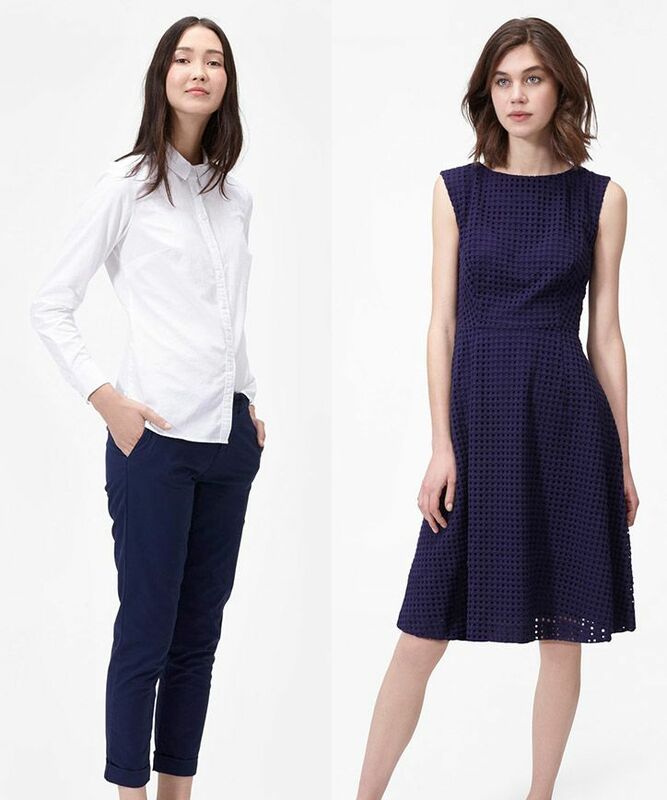 Stock up on a few staple blue pieces to see you through to autumn and you’ll be summer ready. Bright mid-blues like the Joules Prue poncho jumper reflect the light to energise your skin tone and navy blue, well navy blue likes everyone, whether you’ve a penchant for harbour stripes (and they’re going to be more popular than ever this season), or pretty floral patterns. Don’t forget to accessorise with blue too. 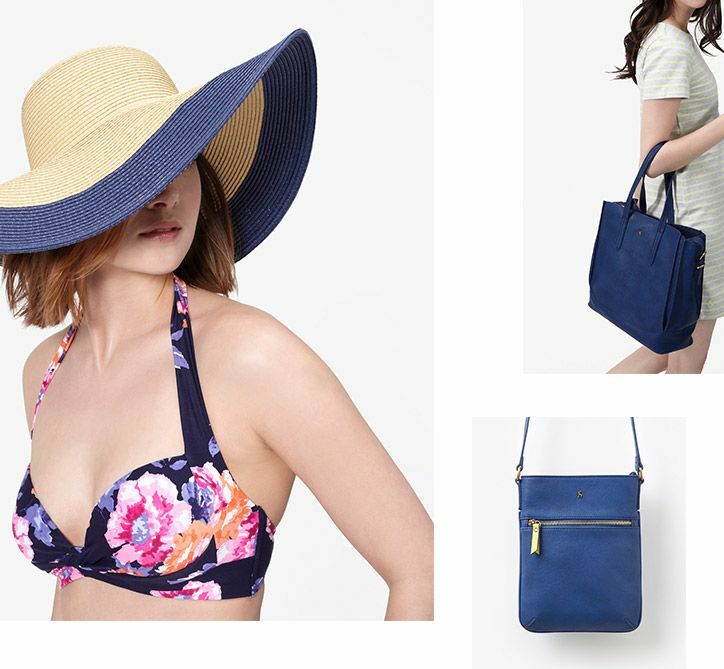 A blue bag like the Iola is a statement item that can give daytime outfits an evening lift. Joules boasts a bountiful array of blue this season and aside from all the got-to-have Breton stripes, the new ditsy blue trainers and the classic T, my summer must have is the Evelina jumpsuit. Comfortable, ridiculously easy to wear and effortlessly versatile, it’s no wonder these flattering all-in-one creations are going to be popular again this season. With an everyday wearable base of blue, this one is uplifted with a bright floral print that’s perfect for daytime with a pair of canvas trainers or espadrilles and great for nighttime with a pair of heeled sandals. Investing in a few blue items is a simple way to update your look this season. Whether you choose a navy woven dress like the Emmeline or an aqua print scarf like the tulip Wensley, there’s a shade of blue that suits everyone.